Hopefully you’ve all recovered from your turkey comas to get back onto the internet to see how all our reality star families celebrated Thanksgiving. Below you’ll find photos of Melissa Gorga on vacation in paradise, Vicki Gunvalson‘s amazing table, Tiny Harris thankful for a private jet, Jenelle Evans enjoying the Macy’s Thanksgiving Day parade in NYC, and NeNe Leakes giving back with Marlo Hampton! There’s no better way to start out your weekend than with the best reality star Instagram posts of the week. No need to scroll through your feed or type in all of the names that matter. I got you covered and there was a lot going on this week and this is aside from the Halloween festivities. 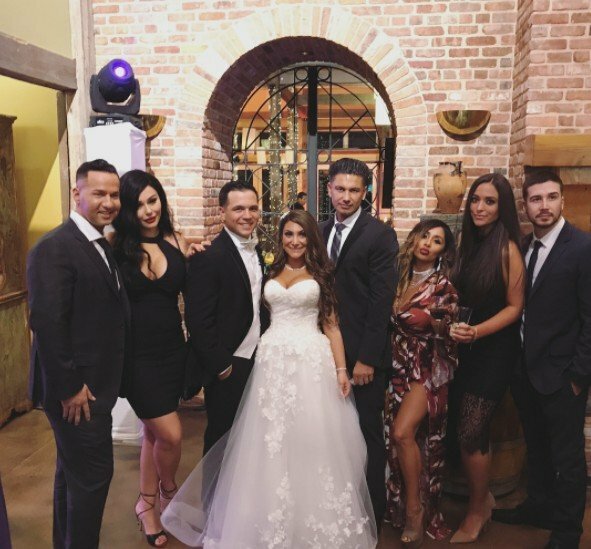 The entire Jersey Shore cast (minus one person) got together to celebrate Deena Cortese’s wedding, getting me all nostalgic. The Real Housewives of Dallas stars gathered with Andy Cohen to film the Season 2 reunion and posted a group photo to show off their glamorous ensembles (and spray tans…most likely). Dorinda Medley and Tinsley Mortimer went all out when they dressed up as famous pop stars for Halloween. The Vanderpump Rules cast were living it up with appearances at the World Series and an LA clothing store launch. The Southern Charm crew made it very clear that they are filming the next season because they were turning up all over Charleston doing shotskis, watching Monday Night Football, and attending restaurant openings. Instagram Roundup: Cynthia Bailey, Bethenny Frankel, Briana Renee, Leah Messer, Teresa Giudice, And More! It’s everybody’s yummiest weekend treat – an roundup of Instagram photos from our favorite attention-loving reality stars! Above Bethenny Frankel and Fredrik Eklund, who will soon be getting their own spinoff called Keeping It Real Estate, reveal they just co-listed a property today. The Real Housewives Of New York star announced, “These 2 idiots have listed their apartment today. This was a design & bickering collaboration that has resulted in a 2 bedroom masterpiece.” Don’t worry – neither Bethenny nor Fredrik are are moving from their stunning homes, it’s a flipper upper. Instagram Roundup: Tamra Judge, Sheree Whitfield, Chelsea Houska, Dance Moms, And More! It’s time for another Instagram Roundup featuring photos from all our fame-loving reality stars. Above, Tamra Judge reconnects with her former Real Housewives Of Orange County co-star Heather Dubrow. “Fun times with @heatherdubrow #pleasecomeback,” she begged. 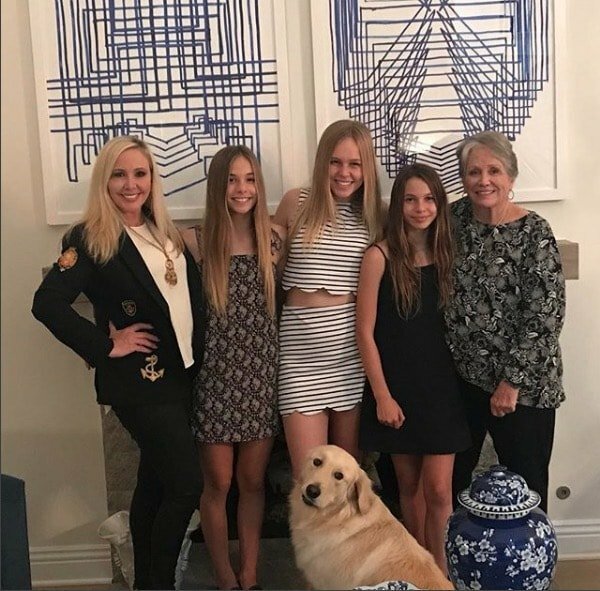 Tamra previously complained that no one had seen Heather since she quit last season, and none of the RHOC ladies have been welcomed to Heather’s 24,000 square-foot mausoleum to good taste. Kelly Dodd dished that Heather’s friendships were only for the show and no one could stand her. UPDATE: Did Snooki’s Husband Jionni LaValle Have An Ashley Madison Account? 4PM – UPDATE: Snooki took to Instagram to speak out about the allegations. The Ashley Madison hack seems poised to single-handedly implode reality TV’s marriages! First Josh Duggar was caught, then Josh Taekman‘s account was unearthed, and now Snooki’s husband Jionni LaValle is being accused of secretly utilizing the services of the cheater website! Reports are swirling that Jionni’s email has been found amid the copious data from the Ashley Madison leak. Jionni married Snooki on reality television last November, and the couple has two children together. They have had their ups and downs, but for the most part appeared to be pretty stable and low-key (Although Snooki was accused of cheating on Jionni in the past. #BeerGoggles). Photos – Best Dressed Reality TV Stars Of 2014! Reality TV is usually known for its TERRIBLE fashions, but once in a while a gal (or guy) gets it right. Rarely, but hey – it happens. Lord knows this list was a struggle, I had to really search and search – wrack my memory, so to speak – to find the good looks. Reality TV stars have launched fashion lines (and jewelry lines and hair weave lines and shoe collections and handbag lines – enough lines that a girl needs a drink), bragged about their stylists, they’ve walked in fashion runways, and they’ve attended fashion shows, and they’ve posed in fashion campaigns (or on the cover of Vogue), and in some cases their spawn have become super models, but that certainly does not mean they’ve any fashion sense of their own! I don’t think anyone is going to question whether these two babies are related! They are almost identical! But that is not the only picture that the Snooki & JWoww star shared. Our favorite reality TV stars can’t get enough of the spotlight during their regularly scheduled time slots, so they take to Twitter to share even more of their daily lives with us. And we love them for it! Here’s a roundup of some of our favorite photos from the Twitterverse this week! Enjoy! Above: Michael Strahan tweeted, "Thank u for coming on @KellyandMichael and showing us your moves Lisa Vanderpump. Good luck the rest of the season!!" Below you’ll find Twitter pics from NeNe Leakes, Teresa Giudice, Drita D'Avanzo, Kenya Moore, Snooki, Lisa Hochstein, Mike Shouhed, and more.